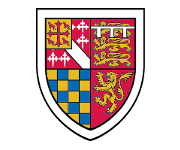 St Edmund’s College invites applications for the Henslow Research Fellowship, which is open to candidates who will carry out research in any field within the Natural Sciences, Engineering, Mathematics or Computer Science. The Henslow Fellowship is normally awarded to applicants who are at a fairly early stage in their research career. Applicants should be of postdoctoral level or expect to attain it by 1 October 2019. The post is tenable from 1 October 2019 for 3 years until September 2022. The pensionable stipend is £22,537 p.a. (subject to annual increments), which is point 23 on the College salary spine. The Henslow Fellow will have the full rights of Fellowship within the College. They will be expected to attend Governing Body meetings, which normally take place once a term and, in due course, they might also be invited to become a member of other College committees. The successful candidate will be a Title B Fellow, a voting member of the Governing Body, and will have dining rights. In addition, they will have an allowance for accommodation in College i.e. a free single room or an equivalent allowance. The Henslow Fellow will be expected to pursue full-time research and will be required to provide a written report on the progress of their research each year. They will also be encouraged to participate in the life of this academic community, for example, mentoring, or participating in research seminars for our graduate students. They would be welcome to undertake supervisions (small-group teaching) for the College, by arrangement with the Senior Tutor. The College gratefully acknowledges the generous support of the Cambridge Philosophical Society for providing the funding for this post. Please see the 'Further Particulars' document, on the right hand side of this advert, for details of how to apply and the list of eligible subjects.